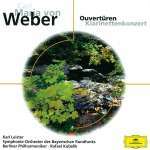 I would like to acquire a CD of Weber's overtures - Oberon, Euryanthe and Freischuetz. Has anyone got a nice recommendation for me? I have Karajan, BPO on DG Galleria. These two instantly come to mind. The Horst Stein discs look interesting. How are the Bruckner symphonies? Has anybody heard the Weber Overtures by Kubelik/BPO? Karajan recorded Weber's overtures with the BPO. Regarding Freischütz and Euryanthe, Furtwängler gave two splendid interpretations. 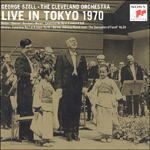 And Mravinski recorded a very good version of Oberon overture. 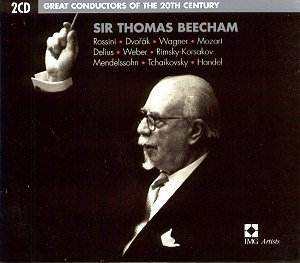 But I think that Karajan made the best recording of this and other overtures (Peter Schmoll, Abu Hassan). Did N Jarvi record some for Chandos too? Yes he did - 75 minutes worth. Jarvi's CD is still around on Chandos and it has the 3 pieces Rubio would like. The Horst Stein discs look interesting. How are the Bruckner symphonies? Well worth the asking price, both are somewhere in my top choices. Comes with the three big overtures you mentioned, as well as the Berlioz orchestrated Invitation to the Dance, The first symphony, and two clarinet concerti. Stunning Philips sound and immaculate playing makes this a winner.